Time to Schedule an Electrical Safety Inspection! The best way to make sure everything is running smoothly and safely is to call TriStar Electric for your electrical safety inspection. The season is changing, and that means different demands on your home’s electrical system, is your system ready to handle the demand safely? The best way to make sure everything is running smoothly and safely is to call TriStar Electric for your electrical safety inspection. One of our licensed technicians will come to your home and assess the safety of your electrical system. 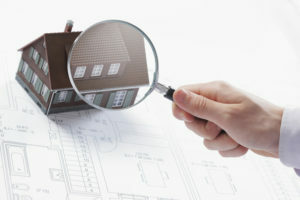 Once the inspection is complete, we will provide you with a report that tells you what, if anything, needs repairing. It is extremely unwise to try and perform your own safety inspection. Sure it’s easy enough to look and make sure you’ve got GFCI outlets where you need them and make sure your smoke detector is up to date but unless you’re a master electrician, the full inspection should be left to the professionals. How long has it been since your electrical system received a complete inspection? If you don’t know the answer to that question, or it’s been more than five to seven years, it’s definitely time to schedule one. Flickering lights, constantly tripping breakers, and non-functioning outlets are also signs that your home electrical system needs to be evaluated. This entry was posted on Friday, October 12th, 2018 at 4:51 pm. Both comments and pings are currently closed.